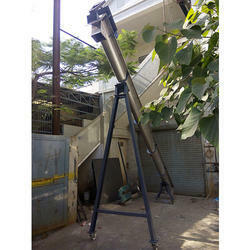 We offer a wide range industrial screw conveyor in various specifications. Our range is provided in various diameter ranging between 25 mm to 1000 m. We offer screw belt conveyor in various materials specifications such as mild steel, stainless steel, etc. For abrasive materials, we offer hard-facing Belt screw conveyor.